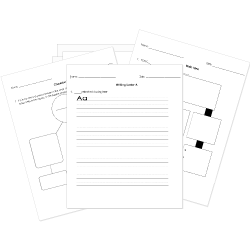 You can create printable tests and worksheets from these Grade 12 Autobiography and Biography questions! Select one or more questions using the checkboxes above each question. Then click the add selected questions to a test button before moving to another page. Jeannette and Brian found some gold and gave it to their dad to build the Glass Castle. What happened to Jeannette in the beginning of he novel, in the trailer park when she was cooking hot dogs in her favorite dress? In the beginning of the novel, what does Jeannette see her mother doing on the street in New York? What did Jeannette's mother, Rosy, do? What was the nickname that Jeannette's dad gave her? Why did the Walls family leave Las Vegas? What does Jeannette wish for on her tenth birthday? The glass castle to be finished. What did Dinita Hewitt do for Jeannette? What point of view is this story told in? How does the book end as it began? Rosa Amalia becomes addicted to sniffing glue. Maria Isabel leaves her daughter and heads to the United States. Belky leaves her son and heads to the United States. Enrique follows in his father's footsteps and has a second family. Why did Jeannette move to New York? When the Walls family moved to Welch, they lived with Erma, Dads mom.